The week before Design Week, Milan has been moved by another ferment: that of Art Week. Five days of events for the art world revolving around one of the most important and international fairs in Italy today, miart. Now in its twenty-third edition, the fair does not cease to grow, both qualitatively and quantitatively, attracting more and more operators and professionals in the sector. A real week of contemporary art that involved all of Milan and that has seen many institutions, foundations and the main professionals of the field located throughout the city, starting in the centre, without excluding the suburbs. Interesting was the Art Night Non-Profit Spaces, in which the non-profit spaces of Milan notably kept their doors open until late at night with openings, performances and events. Continuing to renew itself in its contents, but not changing its artistic direction, which remains for the second year straight in the hands of Alessandro Rabottini, miart presents itself as the Italian fair with the widest range of artistic chronology. Ranging from modern to contemporary, to the brand new of the younger galleries with their emerging artists, miart succeeds in presenting itself as a fair with a wide choice, with a careful look at both the contemporary and new researches. The articulated subdivision into sections of the fair reveals a careful and precise curatorial intent, which allows the fair to escape from the mere commercial intent and to maintain solid connections with the research both in regards to the historical section and to the most recent experiments. So, a perfect combination between art and market that increases its attractiveness both for Italian and foreign galleries, confirming itself as one of the most international fairs in Italy, a factor that is also reflected in the curatorial team.Within the different sections, some of the most interesting artistic proposals come from the Established Contemporary segment, which concerned those first-market galleries that have been working with artists for years, whose recognition has grown along with that of the gallery itself. 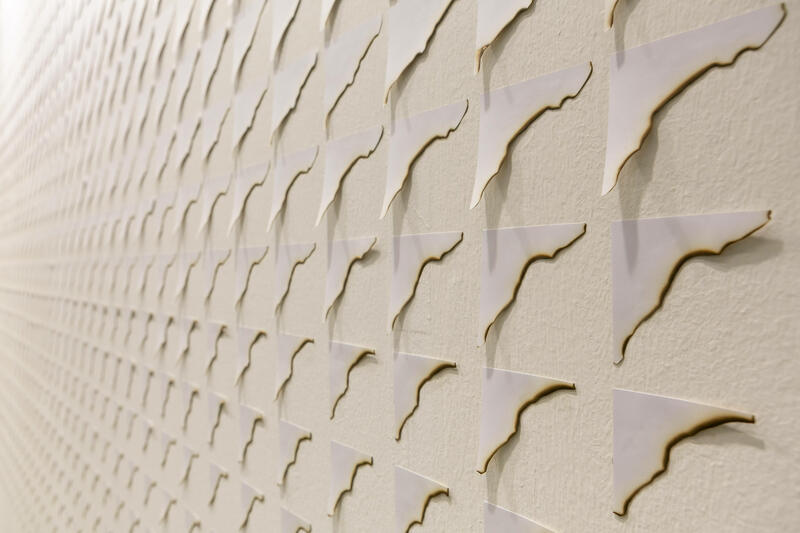 Among these we find Francesca Minini, Rita Urso, Zero … and Renata Fabbri (Milan), Clearing (New York – Brussels), Spazio A (Pistoia), P420 (Bologna), which despite their consolidated experience continue their commitment to promotion of emerging artists. The Emergent section, on the other hand, counts twenty young galleries led by Sophie Tappeiner with the artist Angelika Loderer, who at her first exhibition (the gallery opened in Vienna last May) won the LCA award as the best stand, a prize that confirms support and involvement of the fair with new generations and the newest research proposals. Then there is Dittrich & Schlechtriem (Berlin) with Nicola Martini, Spazio Veda (Florence) with the installation of Emily Jones and Eastward Prospectus (Bucharest) with a solo exhibition by Sebastian Moldovan, who also presents an unpublished work by the artist for the occasion. 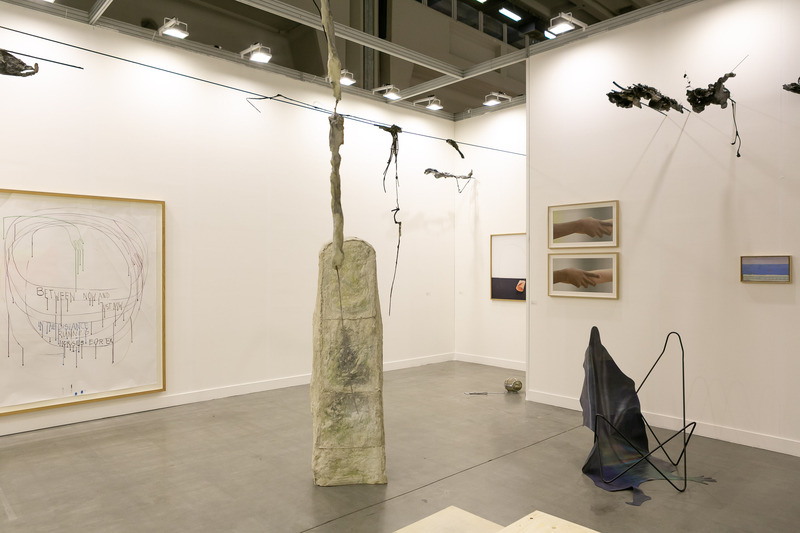 All projects of great artistic and curatorial value that are more reminiscent of the exhibitions in the gallery than those of the booth of a fair. In fact, this year many galleries were presented with a personal exhibition, putting artistic value before the commercial one. 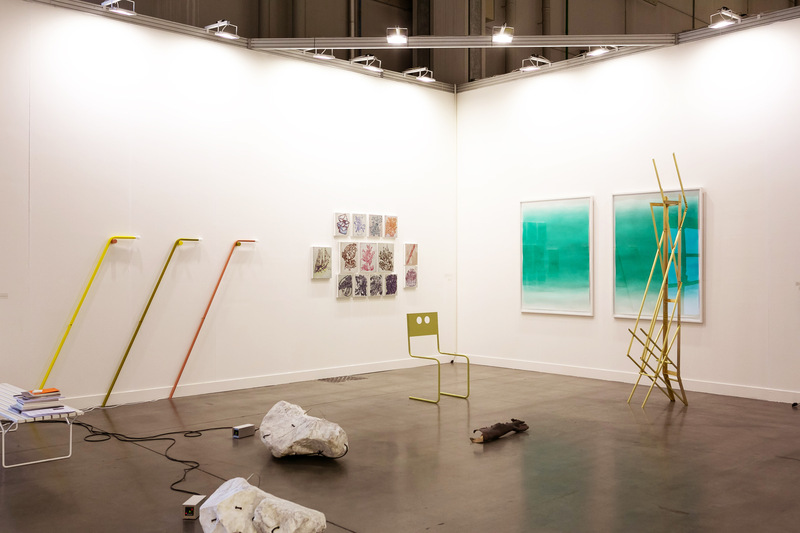 The fair also reconfirmed the relationships with some galleries that, having participated in the previous edition in the Emergent section, were then invited to go to the Established First Step section, with a view to long- term collaboration as it was for Berthold Pott (Cologne), who reconfirms its participation at the fair after the first experience of last year. In line with the strong curatorial intent of this edition of miart, we wanted to discover the artist’s vision in relation to the context of the fair, which often presents itself as a hostile and frustrating context for the artist who has to slant his research into works, so to speak, “salable”. We asked some of the youngest artists to tell us about their experience in miart, which is an entrenched experience for some of them, and the first time for others. Many artists find it hard to adapt their work to the trade fair system. How did you experience miart in relation to the exposure of your work? Personally, I do not have major problems producing “salable” works. I think an artist has to differentiate his production and conceive projects according to the situation. I have a fairly precise line but I often adapt, modify, alter the work according to the place where it will be used. Selling is fundamental and is the basis for having resources to be reinvested in other works. This is my first year at miart and the feeling I had was very positive, both regarding the interest of the public for my research, and for the context in which it was presented. How did you like this edition of miart? What do you think was missing or what would you have changed? What struck you positively? This year I felt a definite improvement within the foreign galleries selection. I could appreciate booths of big names such as Gladstone and Gagosian, and also, the quality of great artists and their works. I liked a lot of booths that faced the space by installing the works as if they were group exhibitions in the gallery. Miart is an art fair and we must remember that we are dealing with works of art and not objects, they are of the idea that a dialogue between the works and the artists is fundamental. Personally, I would have added a section, even in a separate location, where artists are invited to present large installations, something broader and detached from the market, something that makes visitors “dream”. In addition, I would have included more awards of a different nature, trying to involve public and private entities and create new ways to stimulate acquisitions. What do you think of Milan’s contemporary system / artistic ferment? In your opinion, is the city receptive to the latest artistic researches? I think Milan, and Italy in general, live locked between two opposite poles. One that pulls artists, galleries, collectors and all that is linked to them towards the old, such as history, the ancient, the tradition. On the other hand, I find that there is too much superficiality, too many trends, too much fashion, too much lightness and many non-professional artists. On the one hand I met young artists who are already old, boring and bored, yet at the same time, I also met young artists, still students, without identity, without a specific direction, without personality, empty and useless. Despite this, however, sometimes stand out noteworthy personalities, which leave you something you remember well, and thus you cannot forget. The problem of Milan is that it is not a metropolis, it is not sufficiently contaminated. Different “worlds” meet with difficulty; cinema does not meet art, art does not meet fashion, music does not meet art and so on. Even if some effort is noticed, in my opinion it is still not enough. How did you personally perceive the audience of the fair and of Milan Art Week? The public seemed wider and prepared, certainly thanks to social networks like Instagram where everyone thinks of themselves as artists. It seems that there is always more and more involved in the contemporary and its scenarios. I do not ask myself whether going to see contemporary art events if it is more about tourism or more about fashion. The important thing is that there is a public, curiosity and affluence. I hope that in the future people will appreciate and attend “our world” more and more. This year miart has been organised in many specific sections, highlighting a certain curatorial approach. Do you think there can actually be a dialogue between the fair system and the curatorial practice? I noticed more curatorial effort. I think one should aim to that, also because then sales would accordingly follow, in my opinion. It occurs when a booth is well organized, with a project or with an upstream discussion and an idea. It is not the first time that I find myself working in the context of the fair, even with large format presentations and installations. Let’s say that I always try to work taking into account the place that will host the work with its peculiarities. That of the fair is certainly difficult, but my project was also born in response to the On Demand section, which offers artists and galleries the opportunity to present projects more articulated than the fair standards. I really enjoyed being able to work this way inside the fair, and see the work enclosed in a dedicated section, in good company. It’s a difficult question for me, I do not attend fairs unless my work is directly concerned. In miart for sure the carefully designed sections are noteworthy, which stand out clearly with the highest quality booths. Also, the small size of the fair, which allows a calm and appropriate visit, instead of the biggest fairs, often too chaotic. During the days of the fair I imagined things that I would particularly like in addition to both the fair and the art week in general. 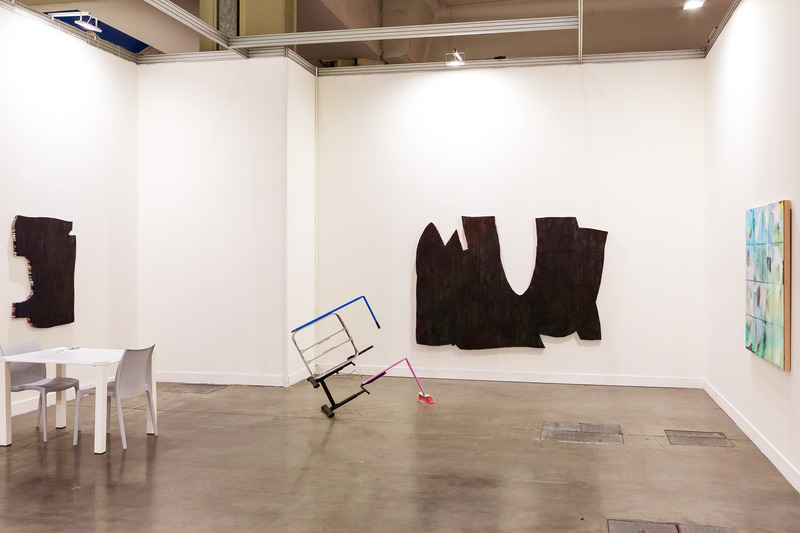 Compared to the particular section in which I participated, I thought about an evolution of On Demand that would have allowed artists to work outside of booths with projects meant to be even for the most unusual and peripheral spaces of the fair itself. Those days, going around, I thought about how to expand a special section dedicated to even more specific and specifically designed projects. The space of the fair reflects many characteristics that could be a good topic for reflection for many artists of my generation. From Milan, as a city, I expect even more. It is changing and becoming more and more active, but I think it could and should go even further to offer an even wider programme for those who come during the days of the fair and for those who live it. Having never lived in Milan, I’m not sure I can make a proper judgment, I often miss the most interesting exhibitions because I live far away. But many colleagues seem enthusiastic about how the city is evolving. As a visitor, Milan is a very pleasant city, foundations and galleries are on the rise. I hope this is a line to pursue. In a positive way. I believe that miart is always a meeting point for Italian artists who come here to meet, to meet curators and collectors, and I have noticed a growing international audience … this, again, is a line to pursue. Absolutely yes. This seemed to me one of the strongest points of the fair. As I said, I imagine that these sections can get better and better. The dialogue seems clear and I believe that the public perceives it with great enthusiasm, as well as artists, of course. For me, having been able to work with a complex project during the fair was a real pleasure and a great opportunity. This has been my second fair experience, although I have been showing for 15 years. So I know very little about fairs first-hand. I am used to show site-specific work that is impossible to transplant or even conserve, so, yes, it was a challenge to find a work that is suitable for a booth, rather than adapting it. Exposure (of a certain kind) is what fairs offer, I guess, but that is not really my trade. The gallery should measure the exposure that it and the works receive. I work with a gallery so that it shields me from all that. There were good works to see, shown in their respective sections in a curatorial attempt to paint a bigger picture – that was noticeable. I liked taking the tour more than once. The encounter was brief, but it felt that way; as is somewhat predictable for a wealthy city that is in tune with its inhabitants. Briefly. I went there mostly because I had to install a work personally, but did not sit around afterwards. I visited the fair and the city. That felt like the right thing to do. Yes, I think there can and should be an interaction between fairs and curatorial practices, as curators can be empowered in their research, while fairs could start making sense as a whole (beyond the obvious), tell a story, ask questions and so on. My works exhibited at the miart were individual pieces that had plenty of room to breathe within the confines of the fair booth. And the fair itself was quite spacious and expansive, so that I was more than satisfied with the presentation of my works in the context of the art fair. In general, my experience of the fair was very positive. I was surprised by the design section – you don’t find this very often at other art fairs. It might be something specific to Italy. And perhaps it should be more clearly separated from the art galleries. What worked well was the way emerging and established contemporary art was presented together with modern art in one overall context. What do you think of Milan’s contemporary system / artistic ferment? In your opinion is the city receptive to the latest artistic researches? Throughout the run of the fair, I spent a lot of time in the city and saw a great deal by visiting open studios and attending the openings at the large private museums. I experienced the Milan art scene as being very lively, international, and in touch with the latest trends. I think that it is still much more difficult for young foreign galleries to enter into a dialogue with the visitors than it is for Italian galleries. Language barriers certainly play a role here, but this is probably the case in every country and does not necessarily apply as much to younger visitors, who all speak very good English. 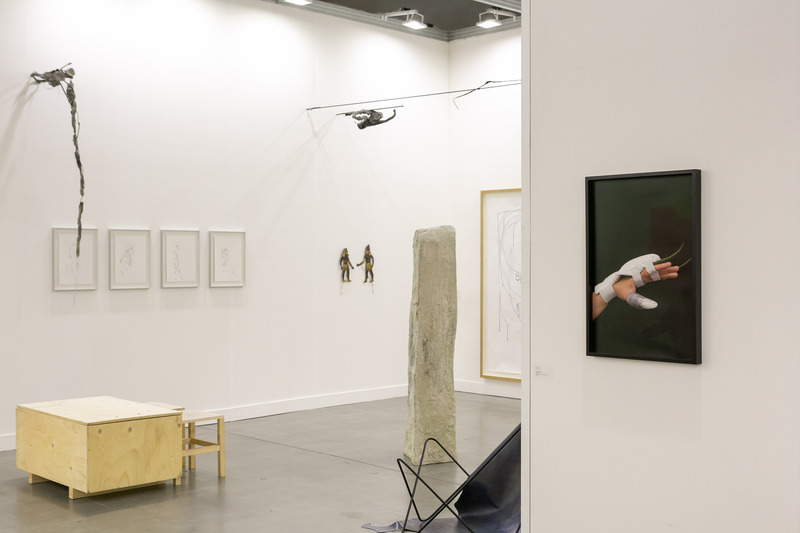 This year miart has been organized in many specific sections, highlighting a certain curatorial approach. Do you think there can actually be a dialogue between the fair system and the curatorial practice? I think it’s absolutely the right way to go. The fair organisers should continue to compile the fair according to a curatorial perspective. They owe this as much to the visitors as to the artists who present their work there! Many artists find it hard to adapt their work to the trade fair system. How did you experience miart in relation to the exposure of the work? I am answering from my own perspective as a gallerist, not in Angelika Loderer’s perspective. I don’t think artwork should be adapted to the trade fair system. Angelika Loderer (the artist whose work I was presenting) and I decided to treat the fair booth like a small exhibition space and this concept worked very well for us. It was the very first fair the gallery has participated in and thus it is difficult to draw comparisons. However, the fair exceeded our expectations, we were awarded the prize for the best booth in the Emergent section of miart, which had a big impact on our fair experience. Unfortunately, we didn’t have too much time exploring the city and we would have loved to see more of it. Milan is a city that has a lot to offer with its rich cultural fabric and history. Regarding contemporary art, it features some remarkable institutions as well as some fantastic galleries and spaces! Also, a lot of artists whose work I admire work and live in Milan. How did you personally perceive the audience of the fair and of the Milan Art Week? The audience of miart seemed international and very varied! I found that people generally seemed very engaged, curious and interested. I don’t have a simple answer to this question. 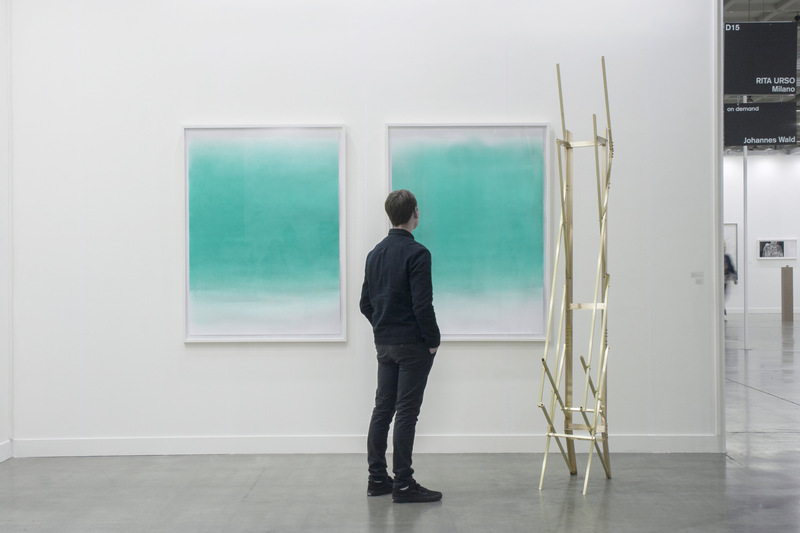 Personally, with so many art fairs around these days, I believe it is crucial for art fairs to position themselves very clearly and to provide quality. I like miart’s approach of offering a variety of sections; paying tribute to Milan’s strong design history with its Object section for instance. With these varied sections, they manage to build a fair with a strong identity that appeals to the Italian public as well as the international public. 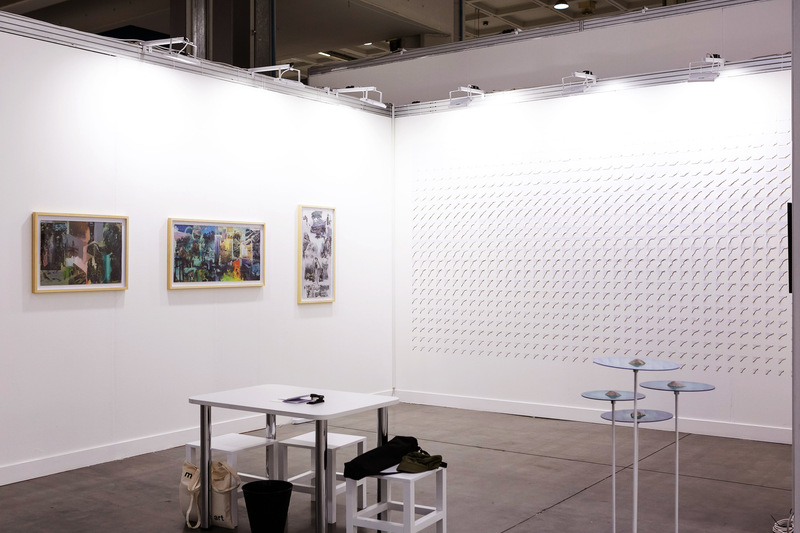 The Emergent section, which we were so lucky to be a part of, was conceived with the young galleries needs in mind, while at the same time adding value to the fair. Moreover, it was beautifully curated by Attilia Fattori Franchini.